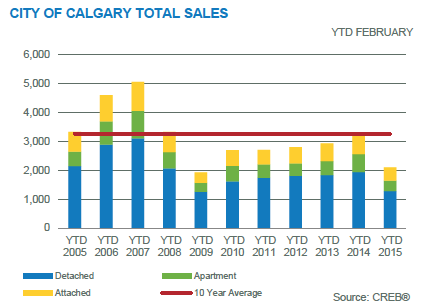 The latest Calgary housing market report shows some ups and downs for the city. Overall, new listings are slowing down, which means there is likely to be some downward pressure on the supply growth within the Calgary resale market. While Calgary home sales remained below the long-term averages for the month of February and year-over-year new listings growth fell from 37 percent in January to nine percent in February, inventory levels increased to 5,474 units. Nonetheless, while the supply levels are higher than what the market has seen in awhile, they are still falling short of the record high of 7,000 units that was achieved in February 2008. CALGARY REAL ESTATE NEWS – For a lot of people buying homes for the first time, condominiums have been a way to transition from owning your own home to owning your dream home. However, an influx of upcoming condos and aggressive bidding battles for modern detached houses has led to an increasing gap between the rates of house and condo prices which hit the peak last year.